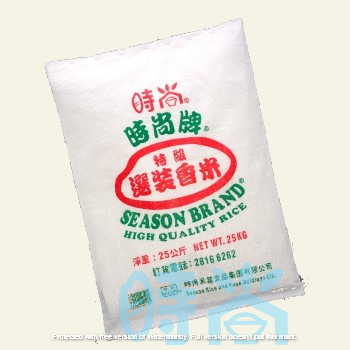 As a rice wholesaler for more than 20 years, we, Season Rice and Food Holdings Limited, have accumulated in-depth knowledge of rice quality and a wealth of rice procurement experience. With the sales goal of providing rice of utmost quality at a reasonable market price, we have established our own flexible fleet to serve customers in different districts. It is no doubt that the place for rice storage is essential for maintaining the quality of rice. In an air-conditioned warehouse at controlled temperature (16°C -19°C) and humidity (60%-80%), rice will be less likely to wither or deteriorate because its moisture content can be retained for a considerable period. That is to say, our customers can purchase rice that benefits their health. Being similar to other registered rice importers in Hong Kong, we have chosen to store our rice in China Merchants Wharf (http://www.cmgwt.com.hk/), which is the largest rice storage place authorized by the HKSAR government. It has successfully been accredited ISO9001:2008 Quality Management System Certificate (No. 00508Q2021R3M) and always provides quality services to customers with sincerity and professionalism. Therefore, any choice of our company’s products is guaranteed for superior quality.